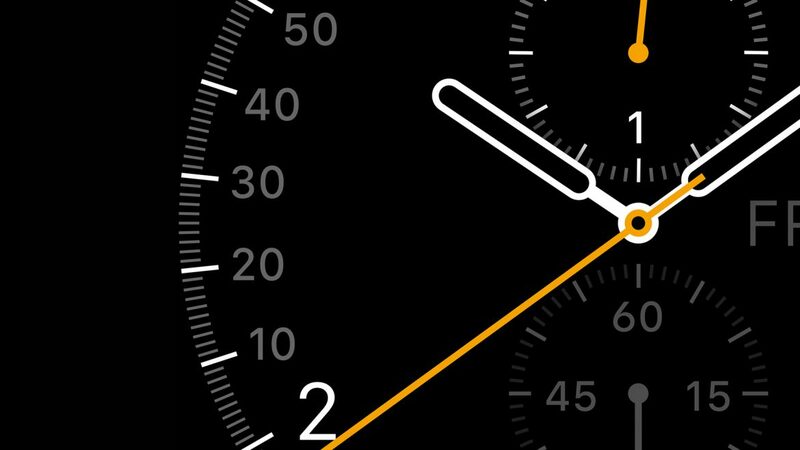 Even Apple can’t escape the gravity of centuries of tradition and the Apple Watch is a great case in point. Sure enough it sits on the wrist like a regular watch, looks like a regular watch and tells the time like a regular watch but that’s where all of the similarities end. Traditional watches aren’t packed full of sensors, actuators or software that can record your pulse and blood sugar levels on the fly and you certainly can’t use them to control the plethora of Connected Home products – from connected door locks and lighting systems all the way through to connected alarms and music systems that are now hitting the high street shelves and this is where with every new version the Apple Watch will come into its own. Despite my impression that Apple has been lazy with the design, for example a lack of gesture control that would have made navigation simpler and a needless requirement for you to tether it to your iPhone to access basic functions this is Apples first piece of wearable technology and their latest weapon in the war to capture a share of not one but three new global mass markets worth an estimated $2 Trillion so while the Watch itself might not be the innovative time piece everyone was waiting for no one will be able to deny that it isn’t packed with potential. Apple has spent a lot of time and effort ensuring that this me too Watch has made its way onto the wrists of some of the worlds’ highest profile and most sought after celebrities and it’s worked even harder to create strategic ties with some of the worlds’ most illustrious fashion houses all in an effort to build desirability. Despite the posturing Apple’s real stars of the show are three small icons discretely tucked away on its perfectly crafted sapphire face that link you to Apples latest multi-billion dollar Platform plays, namely HealthKit which will be used to store all of the biometric data that the Apple Watch collects from your person, HomeKit which will help you control and monitor the Apple Connected Home of the future and Apple Pay which aims to take a significant bite out of the global payments market. The post Jobs Apple has come under increasing pressure over the years for its lack of innovation, analysts have criticised it and activist investors have punished it but to be fair the iMac, iPod, iPhone and the iPad were always going to be hard acts to follow – even for a company that has over $130 Billion of cash in the bank. While it’s highly unlikely that the media will drop their zealous coverage of Apples devices these are increasingly just a side show – portals that connect you to an increasingly broad variety of Apple Platforms like the App Store, Apple Pay, HealthKit, HomeKit and iTunes and it’s these platforms, each with their own unique attributes and services that are the real key to Apples continued prosperity and relevance. Ever since the release of the first iPod Apple’s strategists back at 1, Infinite Loop in Cupertino California have been hard at work trying to create complimentary products and services that help Apple build what in the industry is known as a “Multi Sided Business” where the customers from one line of business, for example iTunes customers begin consuming services from another line of business, for example the App Store or Apple Pay and as Apples platform offerings grow so will the number of customers who are hooked into the Apple story. As the world, particularly the corporate world continues to push vendors like IBM, Oracle, Cisco and HP to embrace open standards and open source technologies, such as OpenStack, Cloud Foundry or Linux Apple has adopted the opposite stance creating proprietary hardware and platforms that firmly lock you into their ecosystem and this is one of the reasons why today, despite falling market share they remain one of the world’s most profitable companies. If you’re an Apple user ask yourself this question – if the day came where you decided Apple just wasn’t the brand for you how easy do you think it would be to port all your data and purchases across to your new devices? Well, for starters you’d have to buy all of your apps again – that’s if they’re all available that is and as for your music well it’s possible to port it all across to your new Android or Microsoft device but you have to perform a data migration and if you’re not technical then good luck with that. Moving off of Apples proprietary platforms is inevitably a hassle and I know you’re crying out for more of those in your life but as Apple continues to hook us all into more and more of their services and, if rumours on the wire are true, you buy into Apples new range of own brand Connected Home products when they emerge you’re going to find that it gets increasingly hard to wean yourself off of your Apple habit whether you like it or not. In the meantime if you do decide to change allegiances and make the switch across to Android or Windows then good luck extracting all of your personal information from HealthKit and getting your proprietary Apple branded door lock to let you into your own house. A new global platform war being waged by companies like Google, Amazon, Samsung and even GE and Rolls Royce who are rapidly trying to replicate Apples success by building their own service orientated platforms that help them grow their own multi sided businesses but so far none of them have managed to replicate Apples’ success.